July 8, 2016. 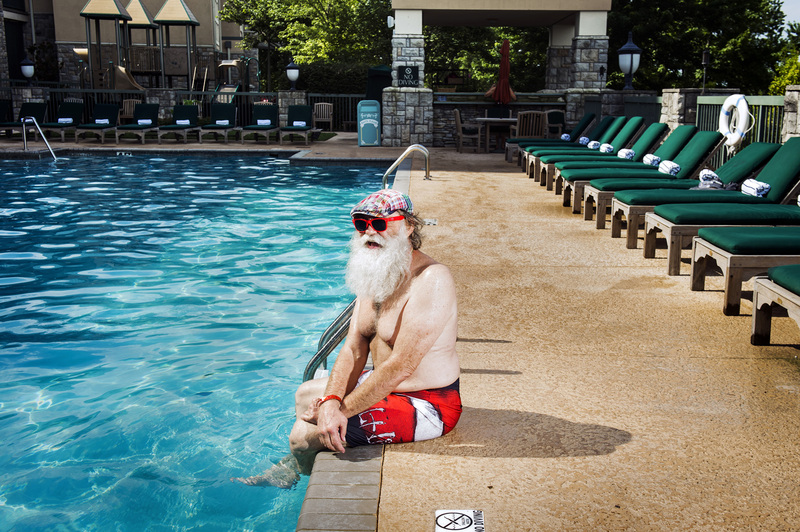 Branson, Missouri - Santa Steven from St Petersburg, Florida, working as Santa for 1 year, tans and swims by the pool at Chateau by the Lake hotel at Discovery Santa. Discovery Santa, the largest Santa convention in the world took place in Branson, numbering nearly 1000 participants.